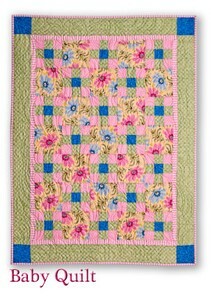 This page features downloadable, machine pantograph and computerized quilting designs by Quilted Frog. We love creating our own designs to use on our long-arm quilting machine. Watch this page for new designs. Some of our designs were created to coordinate with our quilt patterns. Currently we are featuring the adorable designs we created to quilt the three block quilts in our new AQS book Ladybug & Friends. We introduced our book at the Salt Lake City Quilt Market on May 12. Ladybug & Friends is available for pre-order now. Click here to order your copy. 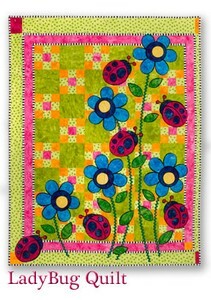 Scroll down to purchase the designs we used to quilt these quilts from our new book LadyBug & Friends. 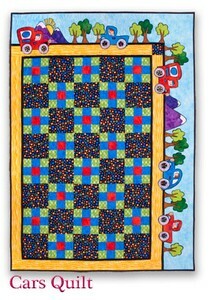 Click on the links below to purchase Machine Quilting Design by Quilted Frog. These pages are currently under construction so check back often to see what we have added to these expanding pages. If you would like us to do the quilting for you please click on the Machine Quilting Services link at the right then click on the Quilted Frog link to access an online calculator for each design so you can get an idea of what your quilting will cost. Remember the online calculator is just an estimate not an actual price quote. Contact Carla for a full, detailed Machine Quilting price quote. To drop off quilt tops for quilting please call 972.347.2547 to schedule an appointment. To ship quilt tops call for return shipping price quotes.